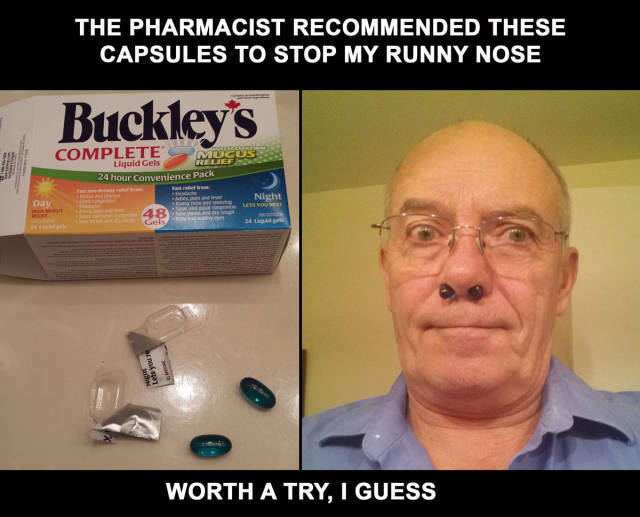 The Pharmacist recommended these capsules to stop my runny nose. It Looks Like This Deer Has Had One Too Many Drinks At This Bar. Someone Had Better Give Him A Ride Home. Donald Trump on Wheel of Fortune.